Using probiotic supplements is a tricky issue when it comes to pet care! 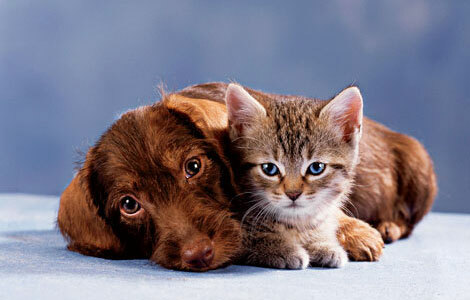 What are the concerns one must know to ensure you can maximize its utility for the health of your pets you love. Since probiotics are living organisms, not drugs, precise dosages when using probiotic supplements are not as important. It also varies by individual because certain dogs and cats are subjected to different environmental toxins and fed diverse pet foods. A typical daily dosage for a 50lb dog is 1 billion or so live organisms. However, the number of viable organisms varies greatly by product, so this is where quality really counts. You could have a product that promotes 2 billion live organisms compared to another that offers only 1 billion. Yet, the one with the smaller probiotic count on the package may actually have more viable, or living, organisms that enter your pet’s digestive tract. Dysbiosis is an imbalance between the friendly and unfriendly bacteria in the GI tract and occurs when something damages the beneficial flora allowing opportunistic bacteria to gain a foothold. This imbalance where undesirable bacteria begin to flourish plays a role in many of the chronic disorders we see today. Symptoms in your dog or cat can include bad breath, diarrhea, constipation, excessive gas, foul smelling stool, allergies, autoimmune disease, skin conditions; poor vitamin K synthesis which can cause blood clotting problems and low bone density; magnesium deficiencies which can lead to asthma, migraines, fibromyalgia, anxiety, depression, urinary incontinence and other related disorders; B vitamin deficiencies which can lead to lowered blood pressure, abnormal gait, lowered uric acid levels and lowered hydrochloric acid levels which can lead to malabsorption issues; irritable bowel syndrome, celiac disease, dairy intolerance and frequent vaginal, yeast, bladder and sinus infections. Using probiotic supplements that has higher CFU (colony forming units) count may be helpful. 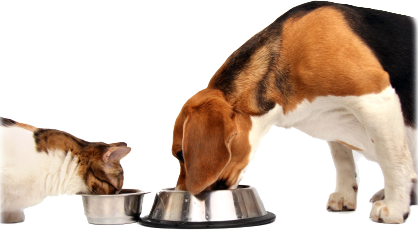 Functional foods like kefir, yogurt and sauerkraut can do a world of good for your dog or cat. Unfortunately, what is found in the supermarket are not real examples of these products. Kefir is a food derived from raw goat or cows milk and is rich in beneficial bacteria and yeasts (some yeasts are good!) and is generally made at home using kefir grains. Yogurt is another superfood derived from milk, however, most of the products found in the supermarket don’t resemble the real thing. Most yogurt nowadays is processed and then freeze dried cultures are added before packaging. Shelf life and taste is the real important thing here, so sugars predominate and the amount and variety of probiotic cultures provides little benefit. Sauerkraut can be a functional food powerhouse, however, the mass produced varieties are made with vinegar, again for shelf life and ease or manufacture, so they provide little of the health benefit real fermented cabbage and other vegetables provide. The only option, really, is to make these products at home, which can be fun if you have the time, or alternatively, using probiotic supplements that is high quality for your dogs and cats may be the only option.